In this TOP of the best laptops of 2018 – my personal subjective rating of those models that are available today (or, probably, soon will appear), based more on the totality of characteristics and the study of our and English-language reviews of these models, owners’ reviews than on personal experience of using each of them. In the first part of the review – just the best laptops for different tasks this year, in the second – my sample of the best relatively inexpensive and good laptops for different budgets (for 20 thousand, up to 30,000 and up to 50) from those that you can buy today in most stores. I’ll start with the general things about buying a laptop in 2018. Here I do not claim the truth, all this, as noted, is only my opinion. Today, it makes sense to buy notebooks with the 8th generation of Intel processors (Kaby Lake R): their price is the same, and sometimes lower than that of the similar processors with the 7th generation of processors, while they are much more productive (although they can get stronger ). As of 2018, you should not buy a laptop with less than 8 GB of RAM, unless you are talking about budget limitations and the cheapest models up to 25,000 rubles. If you buy a laptop with a discrete graphics card, it’s good, if it’s a video card from the NVIDIA GeForce 10XX series – they are much more efficient and economical than the previous family of video cards, while at the price – parity. If you do not plan to play the latest games, do video editing and 3D modeling, a discrete video is unlikely to be necessary – integrated Intel HD adapters are great for work, save battery power and purse contents. SSD or the ability to install it (excellent if you have an M.2 slot with PCI-E NVMe support) – very good (speed, energy efficiency, less danger of bumps and other physical impacts). Well, if the laptop has a USB Type-C connector, it’s even better if it’s combined with Display Port, ideally Thunderbolt by USB-C (but the latter option can be found only on more expensive models). Soon, I’m sure, this port will be much more in demand than now. If you are one of those users who after formatting a laptop to format a disk with licensed Windows 10, when looking for a laptop, look for: if there is a similar model, but without a pre-installed OS (or Linux), so as not to overpay for an installed license. It seems that I have not forgotten anything, I am going directly to good laptop models for today. The following laptops are suitable for almost any task: whether it’s working with high-performance programs, a modern game (although here the gaming laptop will do better) or something else. At the same time, all of them are equipped with a quality screen, they have an excellent assembly and, if everything goes smoothly, they will last a long time. Dell updated its flagship notebooks and now they are available with the 8th generation of Intel processors, GeForce graphics or AMD Radeon Rx Vega, and Lenovo (recall subjective review) the most attractive laptop for me seems ThinkPad P52s. The laptop turned out to be compact and lightweight, with an excellent screen, a very tenacious battery, good build quality, and performance for work tasks. At once several modifications are available at a price from 90 to a small thousand rubles. These laptops from Dell can be equipped with different screens (including IGZO 3840 × 1260), up to 32 GB RAM, Core i7 8705G, 8750H, Xeon E-2176, Core i9 8950HK processors (the last 2 only Dell Precision), various drive options and installed operating system. Weight – 2 kg for Dell XPS 15, 1.78 kg for the Dell Precision 5530. Extremely long battery life for models with a 97Wh battery (in Wi-Fi surfing tests – more than 11 hours from a Full HD battery and over 8 hours with a 4K display). Compact size compared with other 15-inch notebooks due to the frameless display (with one of the best in quality). The first is positioned as a consumer model of the upper segment, the second – as a compact workstation (for professional use, respectively, with a more extensive guarantee). XPS 15 is equipped with a touch screen and in some configurations weighs more (2 Kg versus 1.78 Kg). XPS 15 has on board NVIDIA GTX 1050 Ti 4 Gb (Pascal) or Radeon Rx Vega M GL, Precision 5530 – NVIDIA Quadro P2000. In games XPS 15 will be noticeably better. If we talk about other universal, very high-performance and high-quality laptops, we can mention the Thinkpad t580 and t480, as well as the new MacBook Pro 15 (although the reviews on it are very controversial, but they have not worked personally yet). Among high-quality gaming laptops this year, on the whole, an adequate price can be identified various modifications or ASUS ROG GL503, MSI GE73 / GE63 or MSI GS73. All of them are available including those with Intel Core i7 8750H processors, a bunch of SSDs and HDDs, enough RAM and NVIDIA GeForce GTX 1060 and GTX 1070 video adapters. Also, I recommend Dell G3 or Dell G5 – also very worthy laptops in their price . You can also add more compact MSI GS65, but I’m not sure about their cooling, it’s worth reading the reviews and reviews carefully (however, this applies to all laptops). Dell XPS 13 9370 – excellent screen, epic battery life, very high-quality. 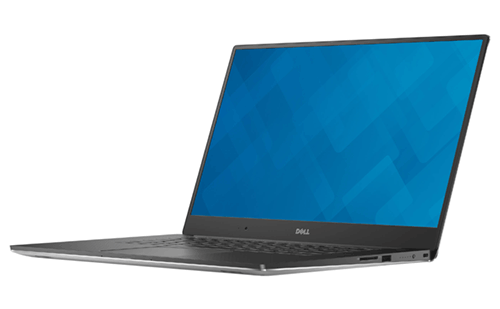 Dell Latitude 7490 – a corporate laptop, lightweight, reliable, 14-inch screen, Windows 10 Pro. You can also pay attention to a similar model Latitude 5490, which will cost less. ASUS Zenbook UX410UF – relatively inexpensive, metal body, efficient, available in different colors. 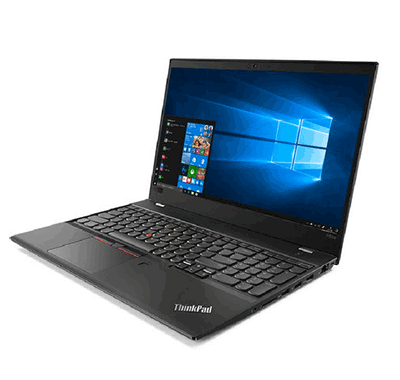 Lenovo Thinkpad X1 Carbon 6th generation – one of the best in quality and combination of characteristics. Fujitsu LifeBook S938 – if you have a lot of money, you are looking for a replacement for the disappeared Sony Vaio Z, but the MacBook does not suit you. Apple MacBook Pro 13 – if you plan to buy something compact and productive from Apple. Lenovo ThinkPad P51 (15 inches) or P71 (17 inches). Here I will add the previously mentioned ThinkPad P52s. Dell Precision 7520 (15 inches) and 7720 (17 inches). There is a cheaper option – the Dell Precision 3520, also decent, but first I recommend reading the reviews, especially if your tasks are associated with high CPU / GPU loads. In this section – those laptops that I personally would choose under a certain purchase budget (most of these laptops have several modifications, so the same model can be listed in several sections at once, always referring to the price closest to the specified price with the best characteristics) . Slightly for 60,000 rubles – Dell Latitude 5590, some modifications of the ThinkPad Edge E580 and E480. Up to 50000 rubles – Lenovo ThinkPad Edge E580 and E480, Lenovo V330 (in the version with i5-8250u), Dell Vostro 5471, HP ProBook 440 and 450 G5, Dell Latitude 3590 – these models, if you do not plan to play especially. If you need games, you can pay attention to the Lenovo IdeaPad 520 15 and Acer ASPIRE E 15 in versions with 8250u and discrete graphics GeForce MX150 and MX130. Up to 40 thousand rubles – some models Lenovo Ideapad 320 and 520 on i5-8250u, Dell Vostro 5370 and 5471 (some modifications), HP ProBook 440 and 450 G5. Up to 20000 (the most difficult choice) – ASUS VivoBook Max X541NC, Acer ASPIRE ES1-732-P6WM. Perhaps, everything. I hope for someone such a review will be useful and will help with the choice and purchase of the next laptop. Choosing a laptop, do not forget to read reviews about it on the Yandex market, reviews on the Internet, it is possible to see it “live” in the store. If you see that many owners note the same drawback, and it is critical for you – it is worth considering to consider another option. If one of them writes that he has broken pixels around the screen, the laptop collapses before his eyes, melts at work and hangs, and most of the others are okay with that, then probably negative feedback is not very objective. Well, ask here in the comments, maybe I can help.